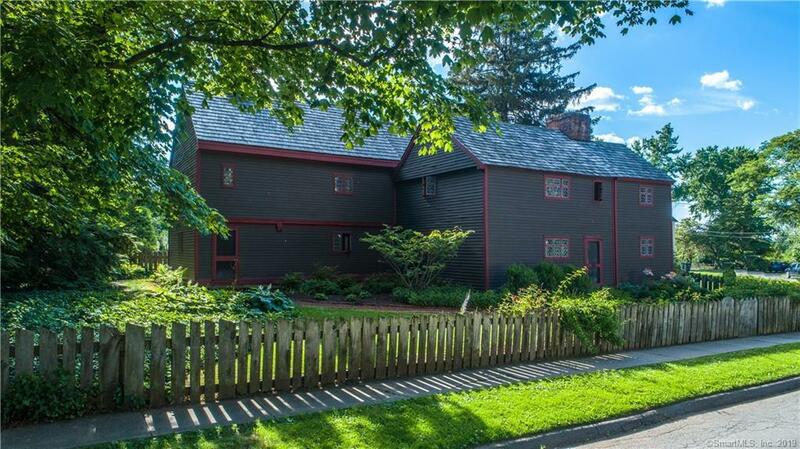 Once in a lifetime opportunity to own the magnificent George Hubbard house circa 1637, the oldest house in Wethersfield! It is historically & architecturally significant & an important part of Wethersfield's founding history! This unrivaled historic gem has been featured on HGTV's Restore America & in the New York Times. Having been completely & thoughtfully restored from the ground up, sparing no expense it has the perfect marriage of 17th century craftsmanship & detailing with 21st century conveniences & amenities. The original house was a single 18x22 room featuring magnificent beams, detailing & a 10' fireplace w/ open hearth! The impressive family room was added along with a new kitchen creating an open floorplan & sunlit living space. High end kitchen appliances & Brazilian soap stone counters seamlessly compliment the period look! The first floor master suite checks off everyone's wish list & features a wood burning fireplace & and remodeled, deluxe master bath. There is also a second floor master suite complete with an incredible, customized walk-in closet & a full bath with a soaking tub. Purists will appreciate the original detailing throughout including wide plank flooring, exposed beams, 4 working fireplaces, 18th century raised paneling, custom-made leaded glass windows, wrought iron hardware & the unsurpassed craftsmanship. Enjoy winter views of the Cove, walk to the village center & soak in all the history the largest historic district in CT has to offer!, The current owners have done an extraordinary job in restoring and preserving this stunning 16th century home. Next, they purchased a 17th century home from Ipswich, MA; The Perkins House. Skilled craftsman relocated and added the structure to the original home. It is now the first floor master bedroom suite, 3rd bedroom, master bathroom and a library on the third level. The final addition was the family room that was once again thoughtfully designed using materials from the original house. There is simply not enough space to describe all this home has to offer. The owners have lovingly restored this treasure, made additions that enhance the property making it a absolutely spectacular place to call home! Call Lisa for more history and details on this fascinating home!